Heyhey, I’m right next door in Germany, with sensitive combo skin, but the same concerns of fine lines and pollution. So not quite a skin twin, but sort of close? nice one dear sophie is it painful? Oh that’s cool. I love him too. All of them really except Seungri! And he’s okay. I probably would too, tbh. I was out for a weekend last week and fit all my clothes, laptop and chargers in one backpack… And then I had to take an extra ecobag with my skincare products! But I really have to thank the beauty stores for sending freebies. I tend to stock them until I have to travel and then save some space. I am the same! I have to bring everything with me even for a night XD I feel like i am going to have ton of breakouts if i skip my routine only for once. I like the fact that she tried it, I don’t like the fact that she did not get that you can chose the steps you want in your routine. But I guess this is how K-beauty is seen by beginners/outsiders? ? Yes I will! In a month or so when I am sure my skin is ok with it! Hmm yeah, kind of annoying. It’s not a cute look really to not do research before trying something out for your videos. I’m kind of sick of this trend of acting clueless about something and thinking it’s cute/funny (and I usually like Saf videos). What is it? A foaming bubbling mask, to use as a face mask. Why did I buy it? I am on the antioxidant and anti-pollution path at the moment, so I wanted to try it because it claims to fight against oxidative stress. Plus, skincareterment and being Belgian, the beer aspect appealed to me! What does the Internet say? Not so much, very few reviews. My skin? Combination / normal skin. I use no make-up. When did I use it for the first time? 18-09-2017. I just got one of these in my box of stuff to try for work! I like bubble packs but I can never finish a whole bottle of them because they’re just not an everyday thing…but I’m excited to give it a shot. Nice review! I thought it was long over. Oh noooo! Are you starting to feel better at all? Oh no, that’s the worst 🙁 I hope you get better soon! Skin gritting, does it work? Has any of you tried It? You use an oil cleanser, then a Clay Mask then oil cleanser again and your blackheads are supposed to \’slide out of your pores\’…. I am curious if any of you tried It as it might be harsh on the skin??? But yes, when I saw the video and the way, I felt like my skin was really hurting me. This is a very harsh way to skin!! Where did I get the recipe? YouTube and Internet. Basically you set green tea for a good 20 minutes and you use pure or add other ingredients. i might try it…can i used matcha powder? yeah i will just used filter paper..about vitamin e how many mg you used? is it capsule? Bottle of Vitamin E oil, I used 10 drops per small bottle. That is equal to one capsule I guess. So might be good for a bigger bottle. Those are 40ml, so pretty small (travel container size). i only have the capsule is it okay? Amaizing review  thank’s sophie .. If I don’t touch my cheeks with the foam, no problems! T-zone and back are perfectly fine! 🙂 it is probably just me… I could find maybe 10 reviews of thousands on the internet with the same problems? Great review. I have some of the same issues. I use luke warm water to combat any tingling in the morning. OMG! That is so hard to get! Daaaaaaang! Congrats! Sun protection is a hot topic! I found this inside a box of a sunscreen I bought. My skin has thus only 20 minutes of natural Sun protection. I sit the whole day behind a window at work… ?? ? time to start reapplying during the day! how was it? did you use cream? Yes! It helped me decide to start reapplying sunscreen! Why did I buy it? As I wear no make-up, I thought using only a cleansing balm (Heimich All Clean) was fine. After reading a few articles on the importance of Double Cleansing I wanted to start. There are a lot of good reviews on the internet too. My skin? Combination / normal skin. I use it morning and evening after my Heimich Balm, 30-08-2017 1st time. My boyfriend let me give him a bit of K-beauty: clean up, scrub and a sheet mask. I love this! My BF gave me (good-natured) grief at first, but now he has his own cleanser, scrub, and clay mask and we do our skincare together. Occasionally he’ll even sheet mask with me. It’s a lot of fun! My ex-boyfriend a.k.a now husband, also enjoys facial mask sheets. Aren’t we lucky lol ? hahaha that’s so funny! Good on him for letting you though! My husband would look at me in horror and then run! About Me Born in Belgium, I now live in the Netherlands. 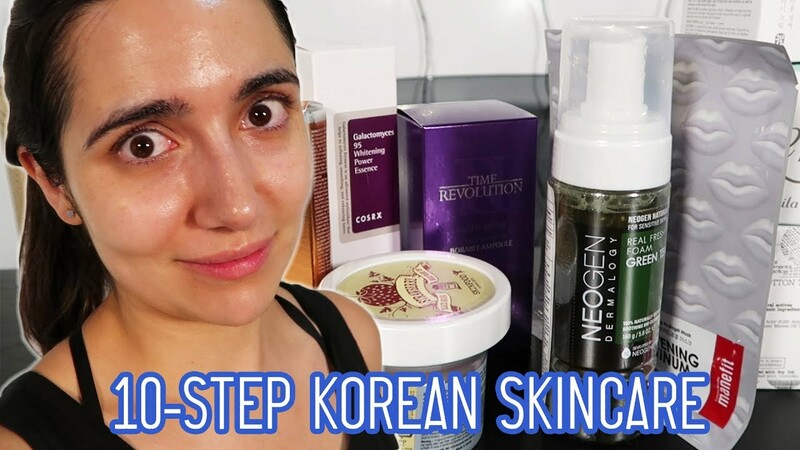 On my quest to pure, natural but effective products I stumbled through a colleague on K-beauty! That was in february 2017. K-beauty gave me more results in 6 weeks of use than all other brands I tried the last 15 year. I am an addict ever since! I love Innisfree, Moksha en Benton. Klairs and Sandawah are not far behind!